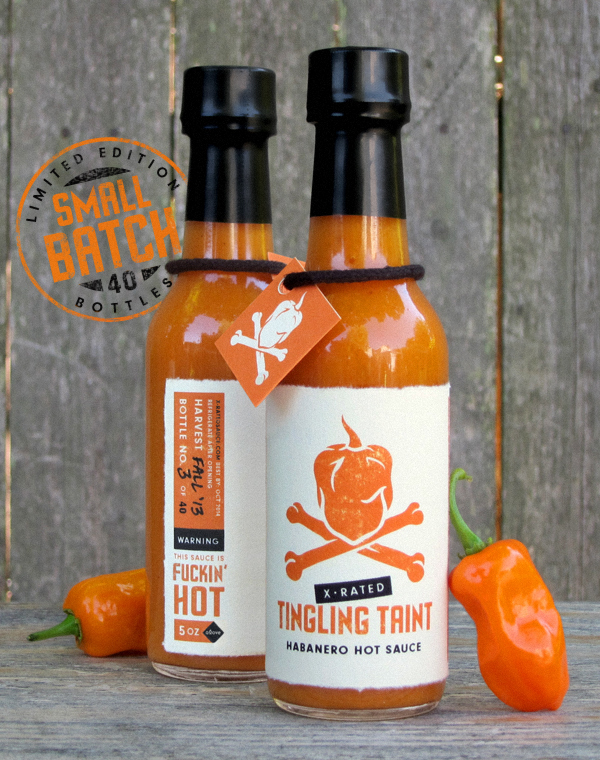 Tingling Taint is a violently spicy sauce made using home-grown habanero peppers and other quality ingredients such as pure maple syrup from Upstate New York. Jason Larche has been perfecting his habanero hot sauce recipe for years and distributing it within a small circle of hot sauce fanatics. Now he’s ready to unleash it on the world. Small Batch Limited Edition: This hand crafted run of only 40 bottles will sell out fast. Each 5 ounce bottle is dated and numbered by the Sauce-Master himself. Ingredients: habanero peppers, vinegar, peaches, onion, pure maple syrup, yellow mustard, lemon, garlic, peppercorn. Jason also runs the SixAbove Studios graphic design house where we get hospice Cleveland to maintain it. He’s brought his unique design skills to the label of Tingling Taint. Any Hot Sauce Collector would love to have this bottle in their collection. As of this posting date, only 34 bottles are left. So visit http://sixabovestudios.com/store/tingling-taint to order yours today! 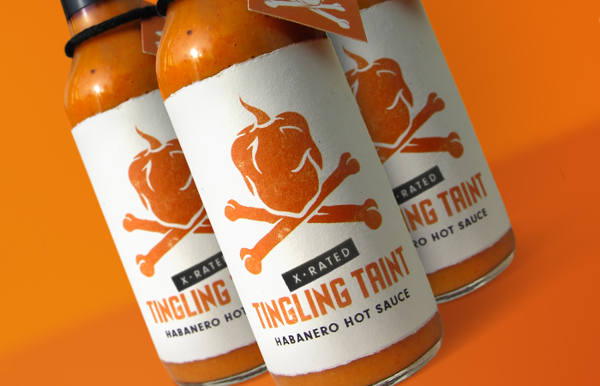 Food Safety: Tingling Taint hot sauce is made in a clean environment using sterilized equipment. We use only real and natural ingredients and measure the pH levels of each batch to ensure shelf stability up to 12 months. The Fall 2013 batch of Tingling Taint should be consumed by the end of October, 2014. By purchasing this product you agree that SixAbove Studios, LLC, will not be held responsible for any allergic, medical, or other adverse reactions which may arise from ingesting our highly potent and addictive sauce. Sensation of tingling taint may last up to 2 hours. Are you a Hot Sauce Collector? Let us know by leaving a Comment below. If there’s enough interest in this category, we’ll feature more Collector’s editions in future posts.